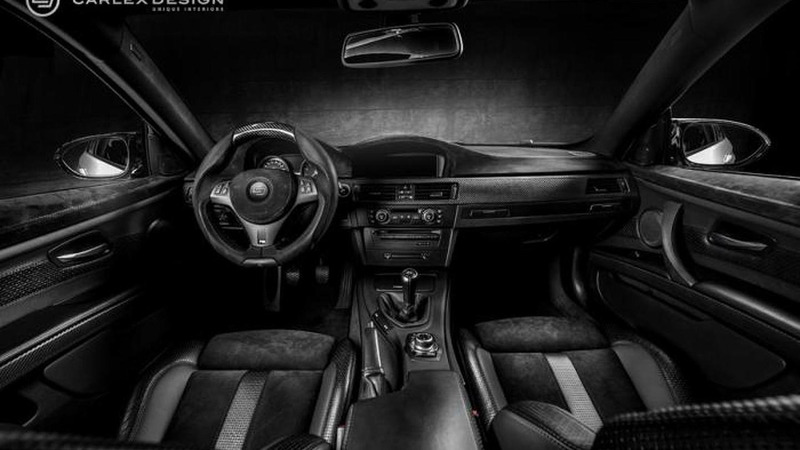 Interior car specialist Carlex Design has revamped the cabin of a BMW M3 Coupe (E92). The owner of a previous generation manual BMW M3 Coupe contacted the Polish interior designers from Carlex Design to work on the car's cabin and transform the "dull" interior into something a bit more spicy. The "cheap looking plastic parts" were replaced with more upscale materials to better represent the client's tastes and preferences. Carlex Design used a variety of materials like "Bentley Nappa" and braided cowhide leathers, Schwartz Alcantara, carbon-like leather and natural nubuck (top-grain cattle leather) while the steering wheel received a "muscular" treatment to complete the ink-black interior cabin theme.